Humphrey Preformed Mantle L13-2 for Humphrey Gas Light Model 9 (1 Mantle). Cross reference part: Humphrey #8 Mantle. 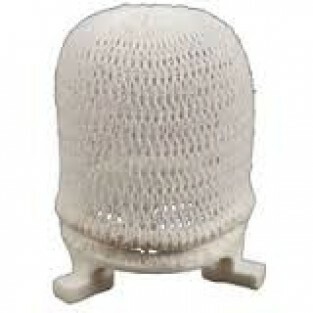 The Humphrey Pre-formed Mantle L13-2 is intended for use with all Model 9 Humphrey Indoor Gas Lights. Use only in stationary locations such as buildings (not recommended for recreational vehicles). The L13-2 is intended for use with burner nose L12-2A. Please note that Humphrey Indoor Gas Light part numbers that begin with 9T do not use preformed mantles.